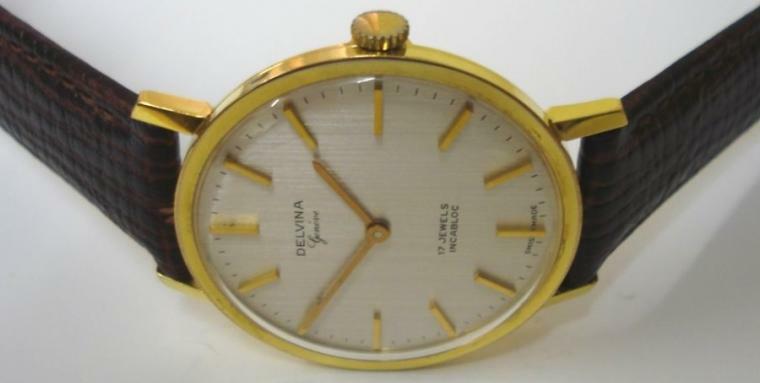 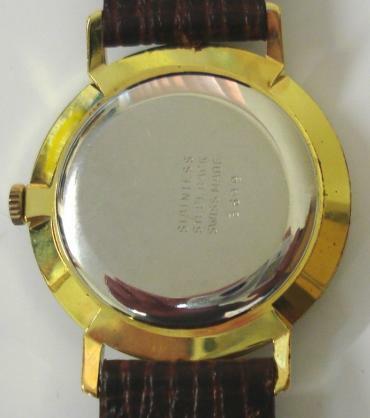 Stock Number: WWOM036 - Delvina Geneve Manual Wind Wrist Watch - £250. 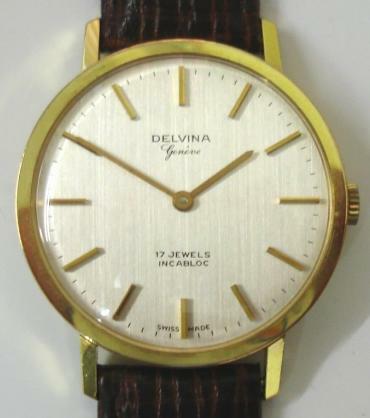 Delvina Geneve manual wind wrist watch in a gold plated case with stainless steel back, on a dark brown leather strap with gilt buckle. 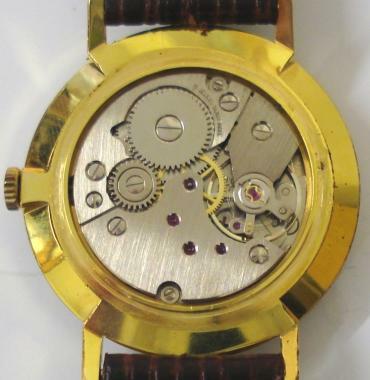 Silver brushed dial with gilt baton hour markers and matching gilt hands. 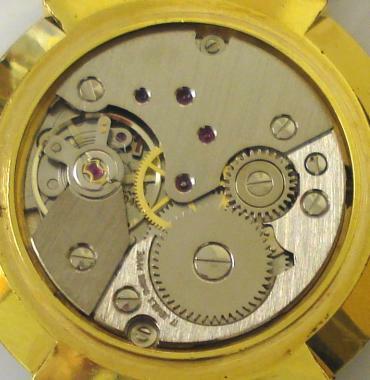 Swiss Peseux 17 jewel incabloc calibre 7040 movement.